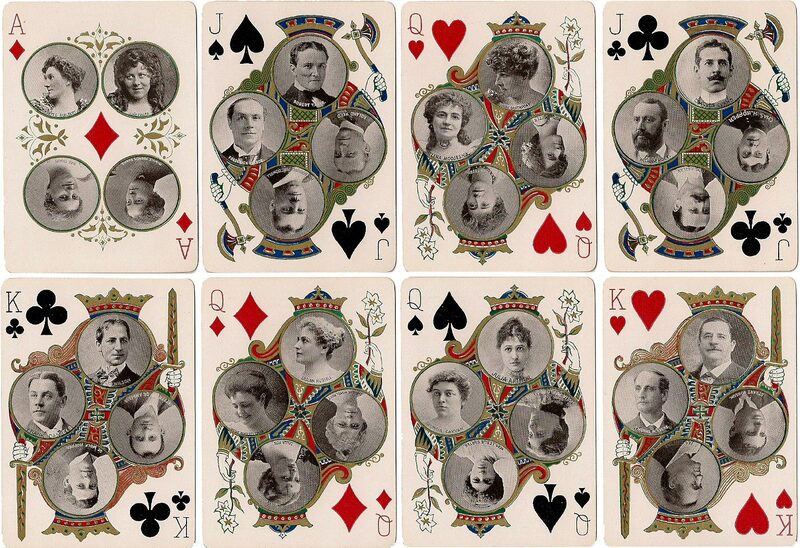 These Stage Playing Cards are souvenirs from a bygone age but today they have historic and nostalgia value. 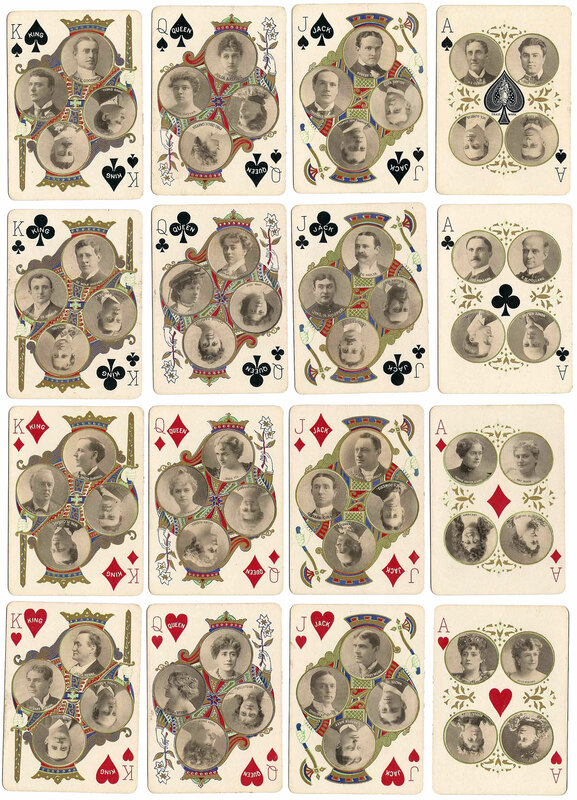 The court cards and Aces each feature four portraits of famous theatre stars from the 1890s inside round frames, against a background pattern based on traditional court cards. 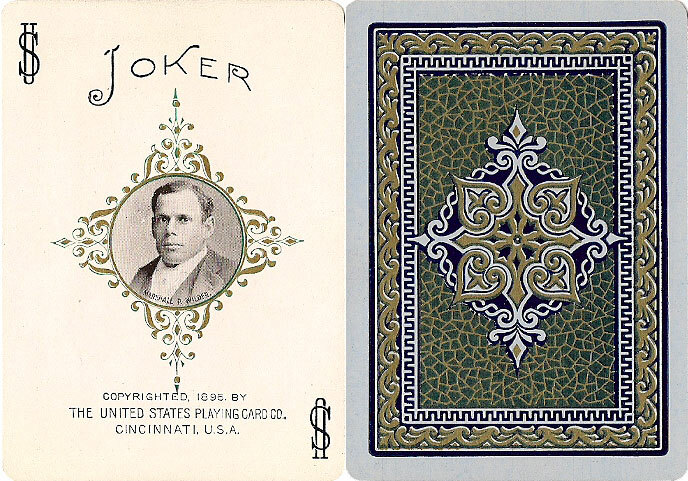 The Joker is Marshall P. Wilder (1859-1915) the famous actor who was one of the first persons with a disability to become a celebrity on his own terms. 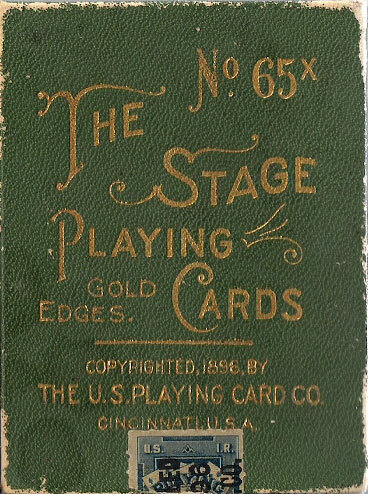 Above: "Stage No.65x" playing cards featuring pictures of stage stars on each card, published by the United States Playing Card Co., Cincinnati, 1896. Gold edges. Images courtesy Rod Starling. 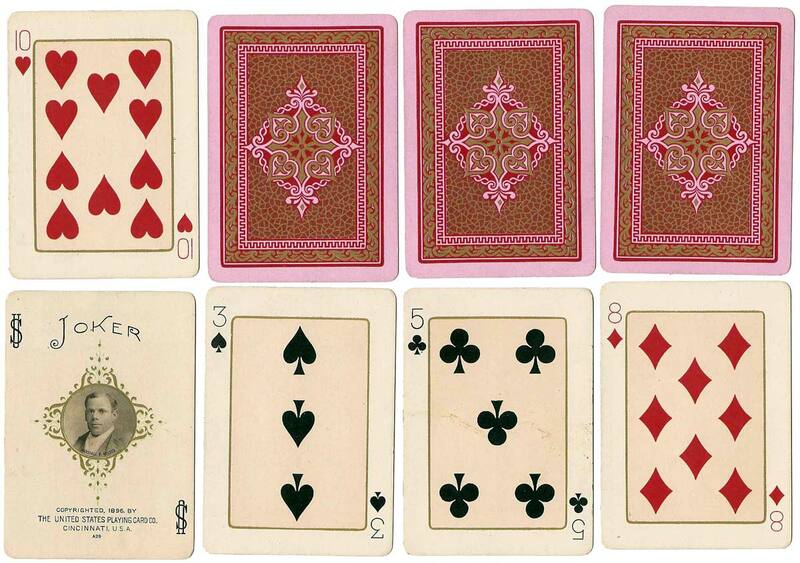 A second version of the deck exists having the denomination of the Jacks, Queens and Kings printed inside the suit symbol. Both versions were published until c.1900. 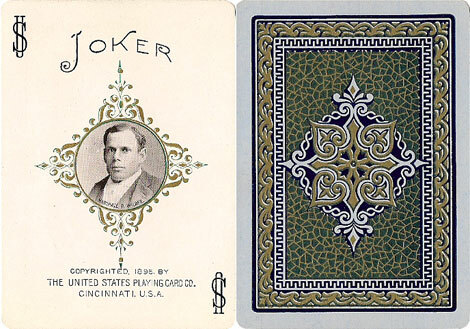 Above: "Stage No.65" playing cards featuring pictures of stage stars on each card, with the denomination of the Jacks, Queens and Kings printed inside the suit symbol, published by the United States Playing Card Co., Cincinnati, 1896. Images courtesy David C. Kelzenberg. Starling, Rod: Tales from the Stage, in 'Clear the Decks', the Newsletter for 52 Plus Joker (edited by Judy Dawson).